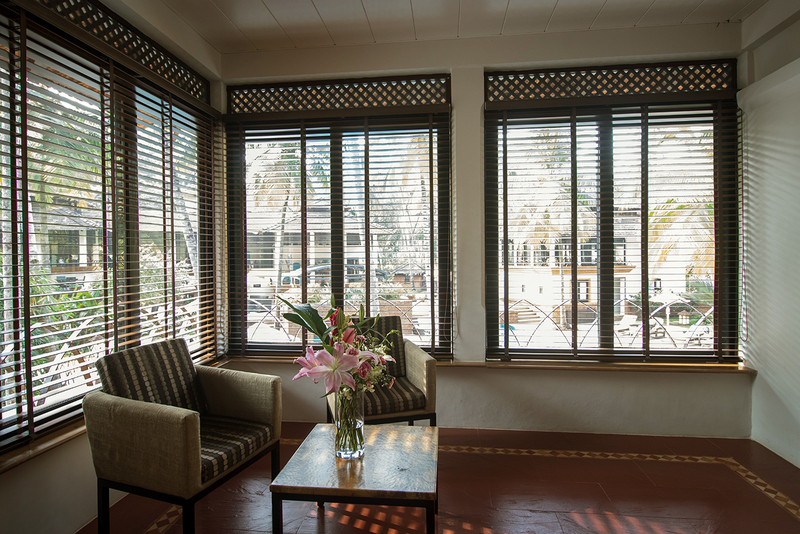 Woven into a natural coconut plantation, our deluxe rooms are air-conditioned and have stunning views of the bountiful flora and fauna of the resort or the majestic lagoon pool, to ensure you have the best holidays in Goa. 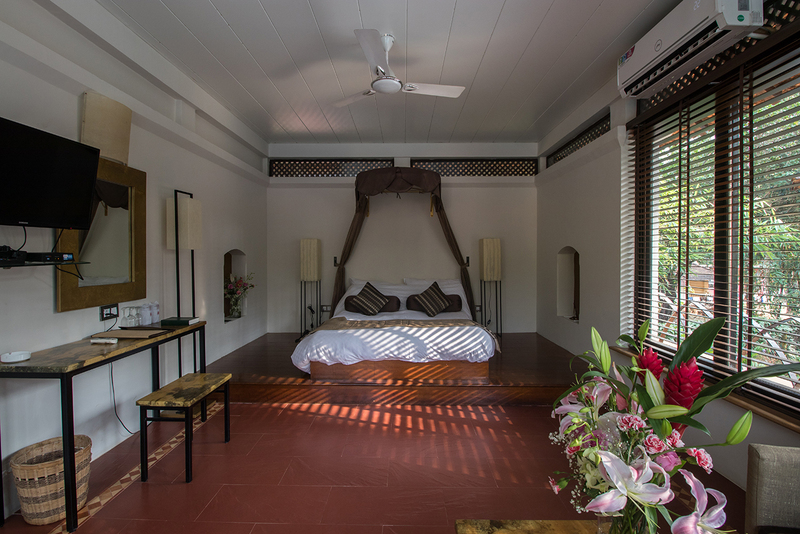 The rooms are housed in villa style accommodation with the downstairs rooms opening onto a ground floor patio. The upstairs rooms have large French windows and ceiling fans, should the air-conditioning feel a touch too cold and also have their own patio, on the lower level. While some rooms overlook the lagoon pool, others have stunning views of the bountiful flora and fauna of the resort. 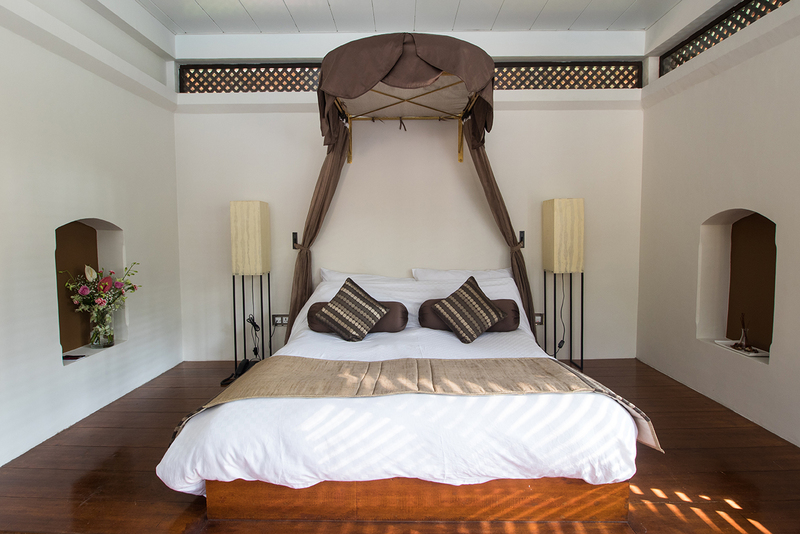 Each room is decorated in a modern yet elegant style paying close attention to detail. 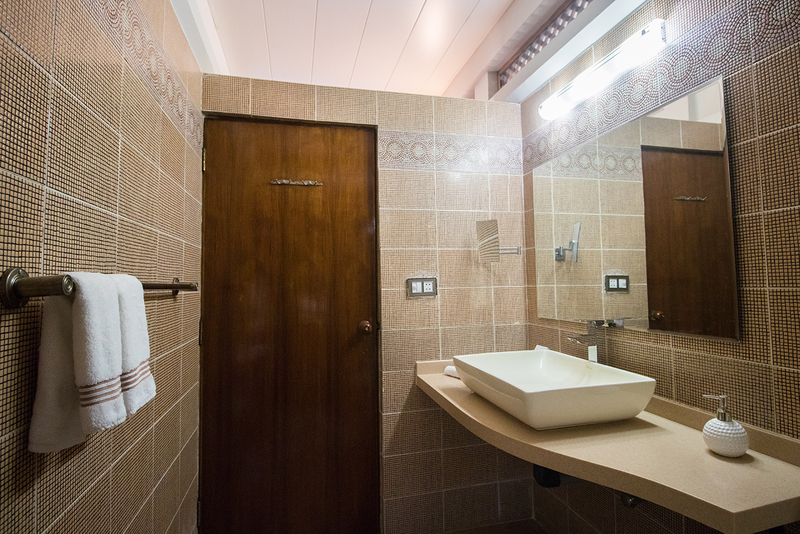 Many of the rooms have been fitted with walk-in wet shower areas. We have a series of offers that include book now, pay when you stay; special discounts and loads more. 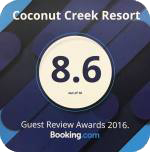 So Book Now only on Coconut Creek to get the best rates! To know about our offers, check out our latest news. All daily rates are subject to GST rates. GST varies according to tariff therefore for tariff up to 7500/- GST will be charged at 28% GST. Taxes may vary as per Government law and rules and will be charged as per the law. Compulsory Gala dinners on the 25th and 31st December will be charged extra. Compulsory Gala Dinner Charges are as below. All reservations can be cancelled upto 14 days prior to date of arrival without incurring cancellation fees. A reservation that is cancelled within 14 days of arrival will be applicable to the following retention charges. Any reservations for the Peak Period ( 21st Dec – 3rd Jan) cancelled 14 days prior to the check in will incur 100% cancellation charges and a month prior 50% of the total amount. Reservation will be held upto 1800 hrs on the day of arrival unless prior information for late check -in has been provided. A reservation that is neither cancelled nor taken up by the client by the stipulated time, will be classed as a no – show. In such a situation, 100% no -show charge will be implemented and any further nights included in the reservation will be automatically cancelled. The hotel checkin -in time is 14:00 hrs and checkout time is 12 noon. For arrivals between 0700 hrs – 1300 hrs, a request for early check- in can be made and will be subject to availability. A child between the age of 0-2 years is classed as an infant and will be considered free of charge. A cot for the same will be provided on a complimentary basis – subject to availability. A child between 5 – 12 years will be charged at the applicable extra child rate. 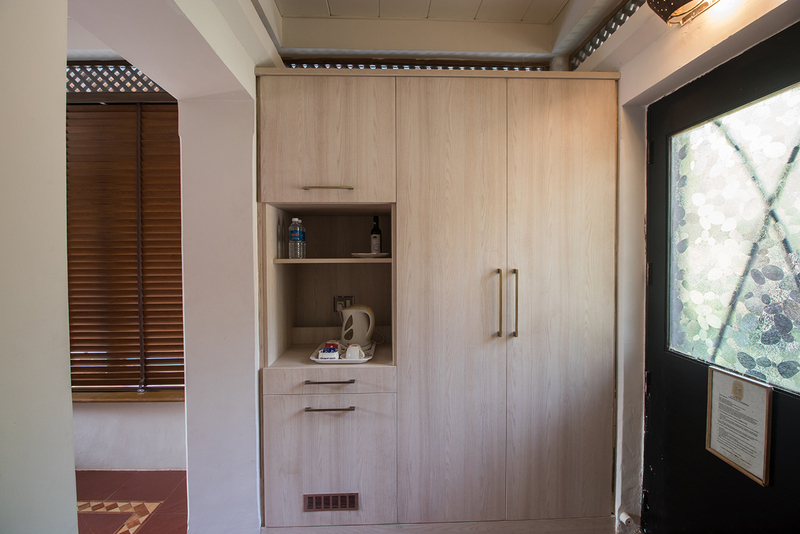 The room can accommodate a maximum of 3 adults or 2 adults with 2 children below 12 years.